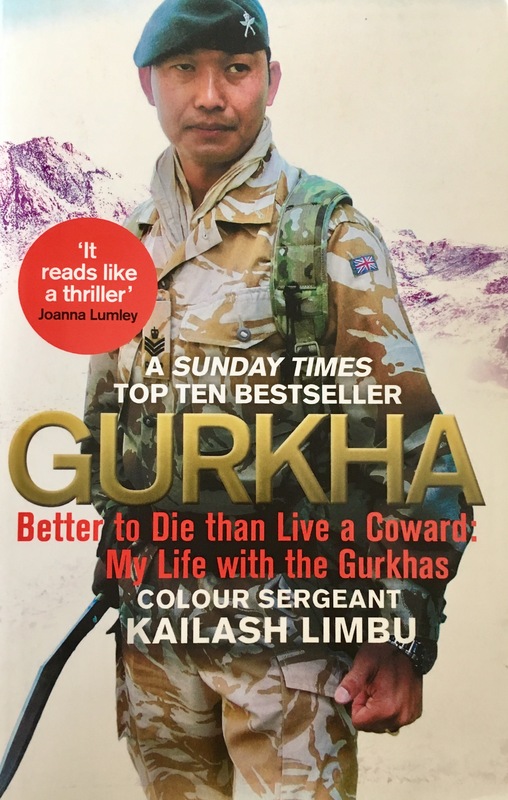 A memoir from Colour Sergeant Kailash Limbu on his time in the army, the tough training he went through to become a Gurkha, and what it was like during the thirty one day siege in the town of Now Zad in Helmand, Afghanistan during the summer of 2008. I hadn’t really heard of the Gurkha’s much, not until when actress and comedian Joanna Lumley became the public face of the campaign to provide all Gurkha veterans who served in the British Army before 1997 the right to settle in Britain, in 2008. This led me to learning more about the Gurkha’s and I was fascinated by how determined and fearless they were. Colour Sergeant Kailash Limbu’s story definitely puts across what the mentality of the Nepalese soldiers who become Gurkha’s is like. Only a handful who apply each year actually make it through the three stages of the tough selection process to become Gurkha’s and join the British Army. He recounts the things he went through in training and how being a Gurkha, like his grandfather and uncle, was all he ever wanted to be. The book almost seamlessly goes between Kailash Limbu’s childhood and training to what was happening during the siege in Now Zad at regular intervals. This means that while the parts on the Gurkha selection are no less interesting, they are slower paced compared to the action in Afghanistan. I thought it explained military terminology very well, along with things like Nepal’s caste system. There’s a lot of information to take in really but it’s all pretty easy to understand. The sections on the siege are tense and compelling. It does a great job of putting you right into the action and how relentless the attacks on the small compound the Gurkha’s were based in. You get to know the men Kailash Limbu fought with and how they do all get scared sometimes but they fight through it and do the job that needs doing. Gurkha: Better to Die than Live a Coward is a great memoir. It is interesting and exciting and is a great insight into what it means to someone to be a Gurkha and why they are so revered in the military. 4/5.